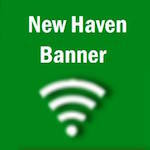 New Haven has the talent and potential to have a very successful season. Having it and using it are do different things. New Haven lost just two seniors, Blake Willimann and their number one hitter Elise McDonald. Kelsey Pecaut returns as a senior after she led the team in serving 68 aces, 242 points, and a service average of 95% and was second in kills with 155. You also have Rachel Horstmann who finished with 41 kills and Taylor Goad with 65 kills. Megan Bauer led the team with 278 assists. Then there is Rachel Steinhoff who played libero last year, however we would not be surprised to see her hitting more this year. Coach Hoener has also brought up sophomore, Taylor Covington hoping to boost New Haven’s blocking game, which was lack luster at best last year. Student Intern Taylor Goad spoke to Coach Hoener about the team’s strengths and weaknesses. Looking back at last year’s team and what we have seen in practices thus far here is our breakdown. Our two game breaking areas New Haven will have to improve in are blocking and service errors. Blocking – Last year New Haven averaged well less than one block per game. This year they are quicker and have a little more height. They have to get the block set on a regular basis in order to be effective. Service errors – You cannot give the other team free points and New Haven has to be consistent and accurate with their serves. Last year they were either on or off. Consistency is the key. Finally, the number one and most important attribute this team must have is teamwork. Every single player has to be thinking about the team. Good teams win games, but great teams win games together.